All of us, including all relationships, go through hard and painful times. The counselors at Crossroads can help you with marriage or relationship struggles, anxiety, depression, trauma, and challenges within your family or with your child/teen. 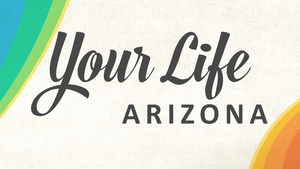 Our Phoenix and Scottsdale Relationship Centers are conveniently located to serve you. If you are ready to take the next step to find relief call us at 623-680-3486 or text 623-313-5138. Do you feel constantly worried or on edge? Do you find yourself struggling with irrational fears and thoughts? Are you experiencing chronic feelings of sadness? Do you often feel anxious without much provocation? Have you experienced a traumatic event that affects the way you feel and function? Do you feel stuck in ongoing relationship conflict, seemingly with no resolution in sight? Has your relationship lost the loving connection it once had? Are you struggling with ongoing worry, heavy sadness, or painful memories? Do you want a loving and intimate connection with your spouse? Are you struggling to effectively communicate with your child? Do you want to be more connected to God, self, and others?